↑ "2010 Census of Population and Housing: National Capital Region" (PDF). National Statistics Office of the Republic of the Philippines. สืบค้นเมื่อ 6 April 2012. 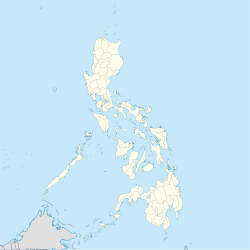 ↑ Republic of the Philippines. (November 7, 1975). Presidential Decree No. 824 – Creating The Metropolitan Manila And The Metropolitan Manila Commission And For Other Purposes. Retrieved 2010-11-21 from the Chan Robles Virtual Law Library. หน้านี้แก้ไขล่าสุดเมื่อวันที่ 26 เมษายน 2561 เวลา 22:04 น.